bDisplayed | How do you display? 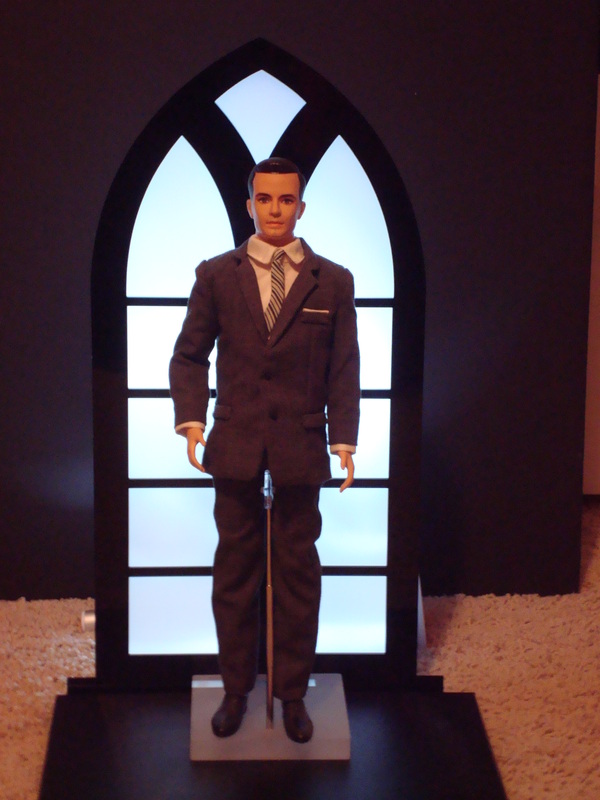 These church window displays were created as table gifts for the 2014 Ken-vention. 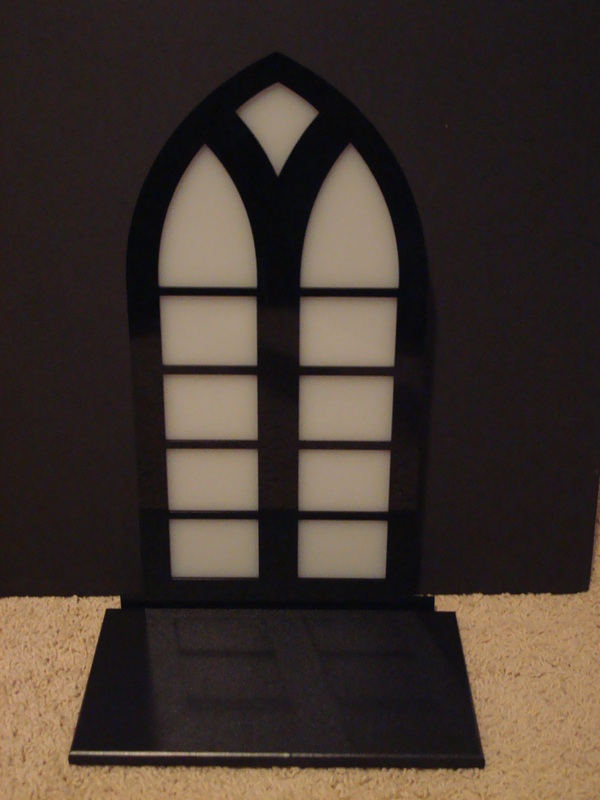 They are a black and milk white acrylic window-shaped back pieces, with a separate black HDPE base. When lit from behind, the milk white acrylic glows. This is an example of a theme-specific display, with 10 units produced. This entry was posted in Convention event centerpieces on August 19, 2015 by bDisplayed. 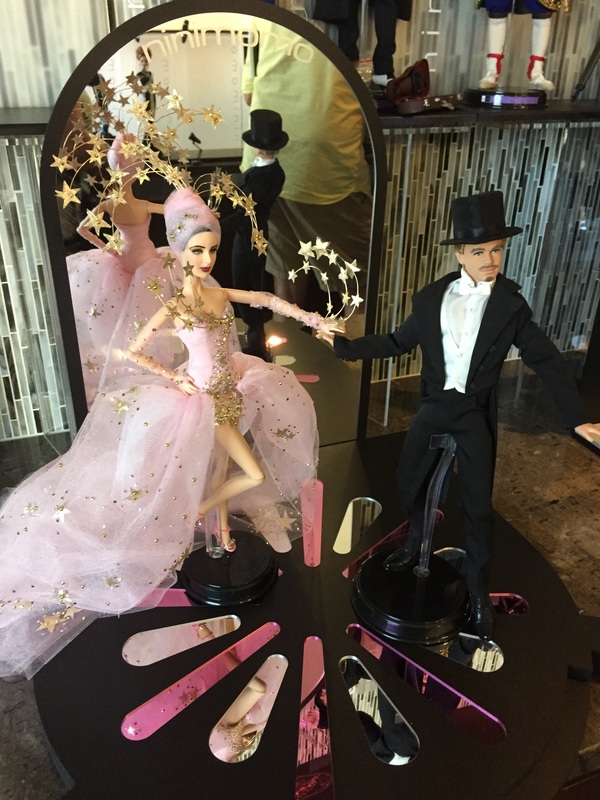 These Broadway themed round piano stands were created as table gifts for the 2015 NBDCC. 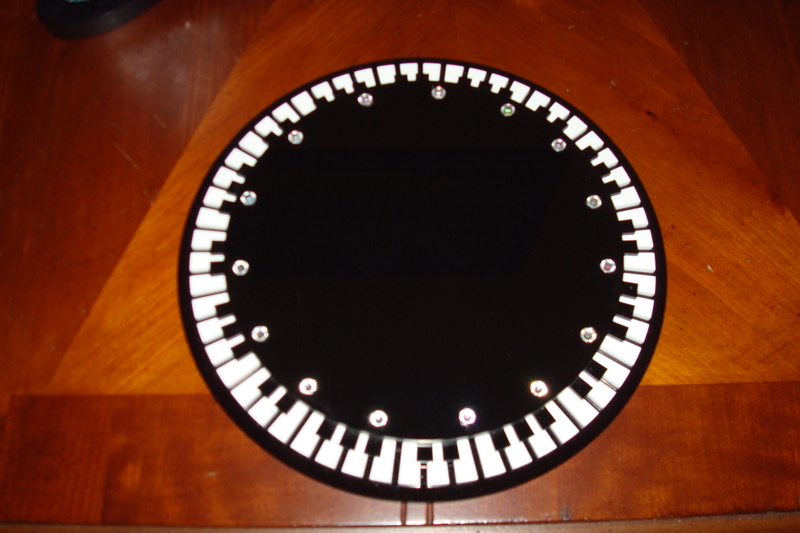 They are a black acrylic base and top, with black and white acrylic keys and studded in crystals. 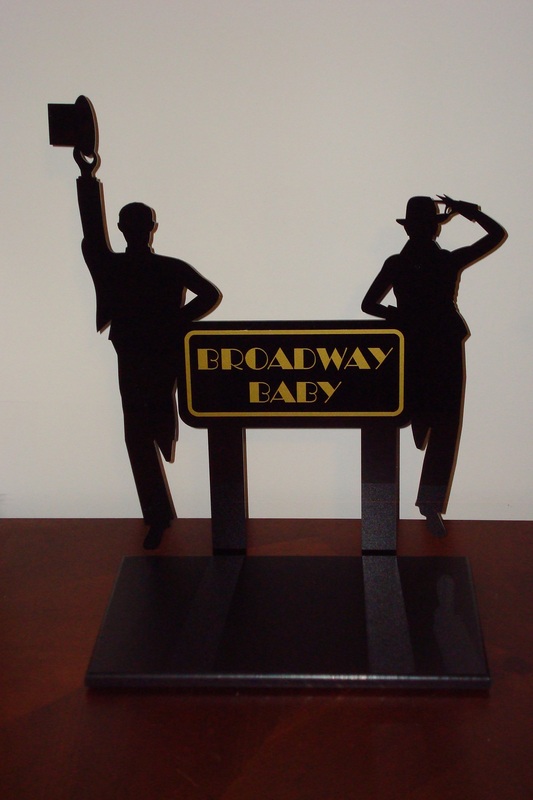 These Broadway entrance displays were created as table gifts for the 2015 NBDCC. 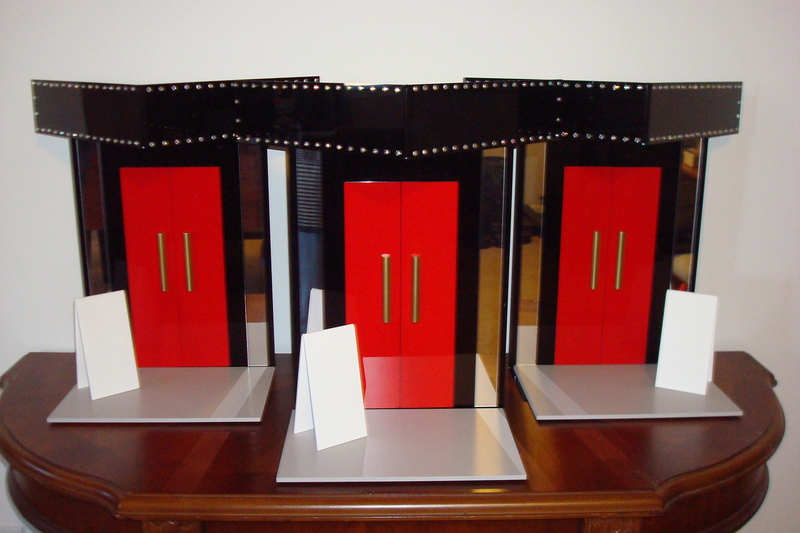 They are a black, clear mirror and red acrylic back pieces, gold painted clear acrylic door handles, with a separate black acrylic marquee studded in crystals. The gray pvc base mimicks the sidewalk with white acrylic front show signs. 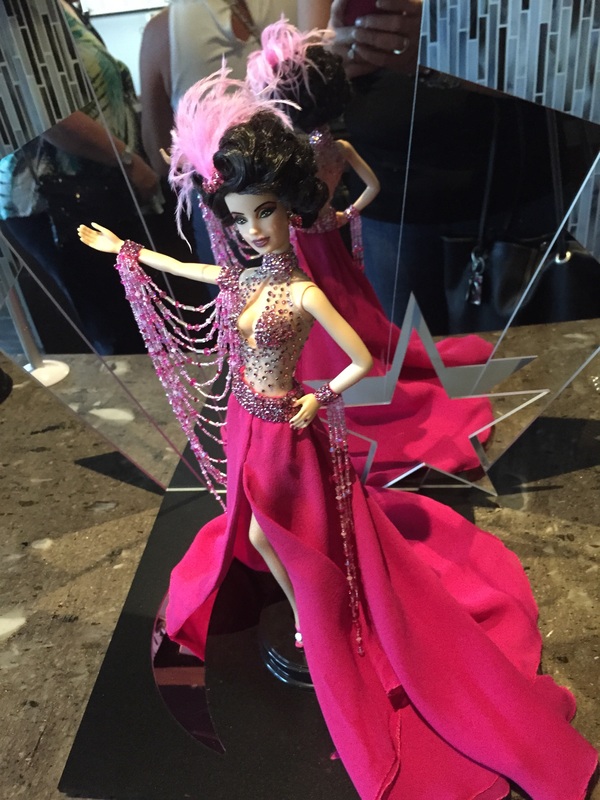 These Broadway Baby displays were created for the 2015 Music City Doll Club luncheon. They are black acrylic dancer silhouettes on each side and gold vinyl lettering with a black HDPE base. This is an example of a theme-specific display, with 5 units produced. This is Ninimomo’s Live Auction donation for the 2015 NBDCC. The display created represents New York and Broadway. The base is gray pvc with an oval purple mirrored acrylic pedestal. 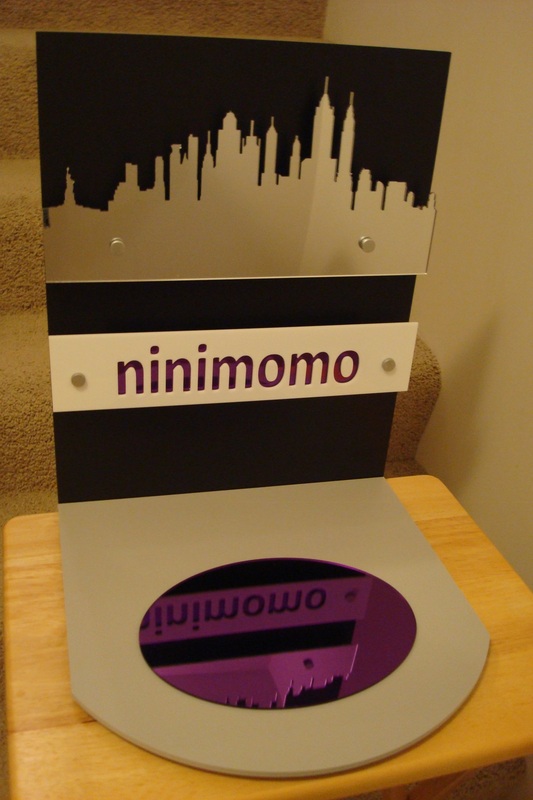 The black pvc back has the New York skyline in clear mirrored acrylic and Ninimomo cut out of white acrylic and backed in purple mirrored acrylic ~ both pieces mounted on raised silver posts. This is Ninimomo’s Raffle Room donation for the 2015 NBDCC. 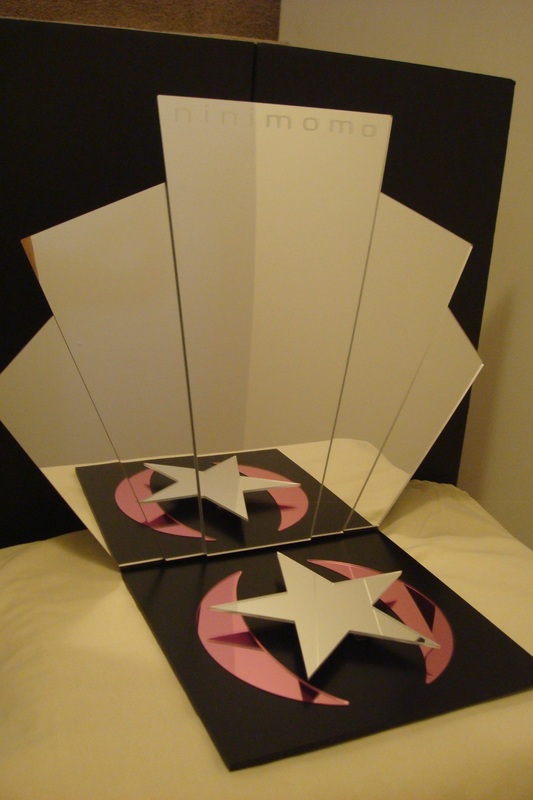 The display created represents a stage and has a fan-shaped clear mirror acrylic back piece, pink mirror acrylic base inserts and a raised clear mirror acrylic pedestal star. 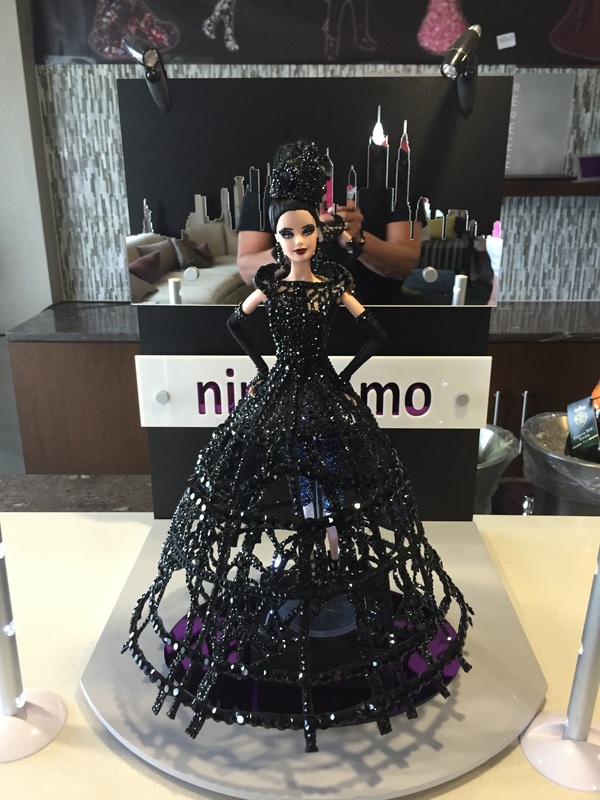 This is Ninimomo’s Silent Auction donation for the 2015 NBDCC. 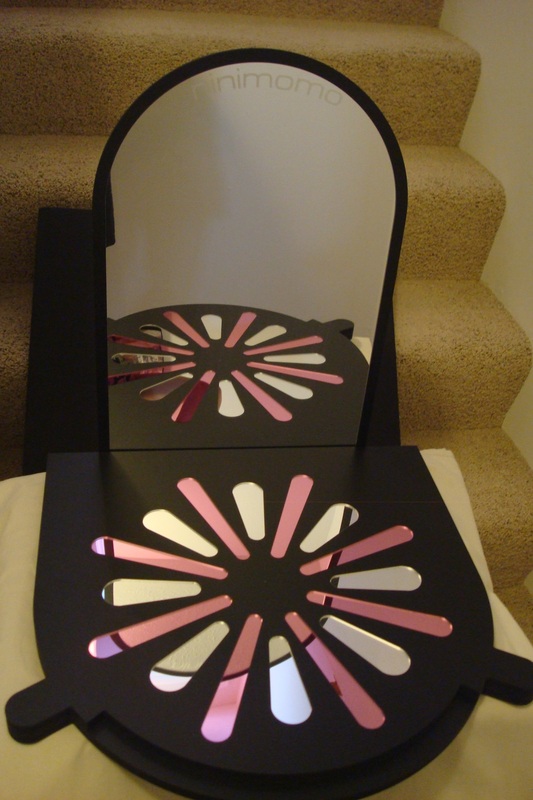 The display created represents a stage using black pvc, pink and clear mirror floor inserts and a large insert clear mirror for the separate backpiece.